We've received a lot of questions regarding scoping, so this week I got the chance to talk with, Linda Evenson who has been a scopist for almost 37 years and who has taught scoping online for nearly 20. She's been active in the profession through speaking, writing articles, and serving on committees. She was once dubbed the “Scoping Cheerleader” and loves that nickname! She currently lives in the beautiful state of Montana with her husband of 32 years (who is a retired deputy sheriff); three dogs; and a mouthy parrot. She has four children but only two grandchildren and is considering renting more. And best of all, she still loves her job! Scoping is editing transcripts for court reporters. The court reporter types the transcript on a steno machine and uses CAT (computer-aided transcription) software to translate it into English. Not to be confused with proofreading — which happens after the transcript has been edited — a scopist reads that transcript (on a computer screen) and edits the text for accuracy. Major tasks include filling in missing words, researching spellings, and adding or correcting punctuation. It’s an important job because you need to make sure the transcript is word-for-word exactly what was said during the proceeding. A scopist also needs to know how to read steno notes (machine shorthand); how to put a transcript together; how to use CAT software, how to format a transcript; proper ethics; ergonomics; medical and legal terminology – and much more – as well as how to market him/herself to reporters in order to find clients. What personality types are good for this job? People who love words tend to make excellent scopists. They got good grades in English, love to read, and enjoy crossword puzzles and word games. Dependable people who are task-oriented, can sit in front of a computer for hours at a time, and meet deadlines are likely to succeed. Folks who are self-starters, service-oriented toward their clients, and perfectionistic are ideal candidates. Scoping isn’t for everyone, but for those who are willing to put in the time to master the skill, it’s a challenging and rewarding career. How much can a scopist make per hour or annually? Scopists are paid by the page, so the hourly rate is highly dependent on the scopist’s speed, the difficulty of the material, how well the reporter wrote the job, and if s/he needs to listen to full audio with the transcript. With an average writer, a scopist should be able to make a minimum of $20/hour, or the equivalent of $1.00 or more per page. With excellent reporters and a proficient scopist, that can go up to $35-45/hour. Working three-quarter time or so, I used to make 30-35K/year. If you get into rush work, which pays quite a bit more, your annual salary can rise to 50K or more. My personal record was when I earned over $500/day doing an immediate-delivery transcript. That’s where the attorneys want the transcript ASAP after the close of the proceedings. My client was in California, and I was editing closely behind her — courtesy of the Internet! — here in Montana. How cool is that technology? The pressure can be high sometimes, but the hard work paid off. How do scopists get clients and/or find jobs? Internet Scoping School (ISS) includes intensive marketing training to help our graduates succeed in finding clients. In these Internet days, it’s easier than ever to connect with court reporters. Everybody and their dog — literally! — are online. There are many court reporting websites where you can get to know reporters; there are scopist websites where we can post ads; ISS passes on contacts to its grads that we receive; there are even several job boards online where reporters and scopists can post. A word of warning to those itching to get paid: Scoping is not a get-rich-quick job — it’s a real career that requires real skills in order to succeed. No matter how badly you may need to earn money, resist the urge to seek out work before being fully trained. The scoping and court reporting world is reputation-driven, so if you skirt real training and don’t really know your stuff, you’re almost guaranteed to fail. “Fake it till you make it” doesn’t fly in scoping. Trained scopists, on the other hand, have several things going in our favor: There are fewer reporters coming out of school; there are more lawsuits than ever; and attorneys are pushing for tighter deadlines. Because court reporters are in higher demand, scopists are too. Reliable scopists help busy reporters manage their ever-increasing workload. Talk about job security! What advice do you have for a newly trained scopist? Do whatever you can to put your name/face in front of reporters. Network with them online, always being careful to word things well and spell everything correctly. It is your word skills you’re marketing after all. Join your state, national, and/or local reporting association and attend conventions. That personal meeting is worth its weight in gold. And members get listed in their directories which can result in work coming your way. Don’t work when you are overly tired or stressed. Put your heart and soul into doing the best job you possibly can. Earn a great reputation. Always be ready to go the extra mile for your clients. They won’t forget it — and will often tell their friends! What are some of the challenges you’ve faced as a scopist? While working from home is one of the best things about scoping, having relatives who think they can call you and gab during work hours can be frustrating! I have three dogs who also think they should go outside every 15 minutes because Mom’s just sitting here! And I once had a kitten stand on my keyboard and erase a bunch of text. Thankfully, I am a very good note reader, so I was able to add it all back in. Some of the not-so-pleasant challenges can be reporters who don’t want to pay you (I have written a series of tips on how to prevent that); unethical scopists who might help you with one of your clients and then try to steal them (which is why I recommend my students get to know their ISS peers); and although reporters make wonderful clients 99.9% of the time, some of them are horrible writers, and there will be an, erm, cantankerous one now and then. Some people are just miserable to work with, but don’t let them get you down — your success doesn’t depend on them; it depends on you! What are some of your favorite time management tips and tools for being a scopist? I highly recommend that scopists always make time for networking. Even if it’s only 5-10 minutes, make it an every-single-day thing. If some of your clients aren’t great writers (whose work takes longer to do, thereby lowering your hourly rate), start scouting for some clients who do better work. In one fell swoop, you can give yourself a several-dollar-an-hour raise. Try to train your friends and family not to call you during work hours; if they do, let it go to voicemail or, if you answer, hang up as soon as possible. If it’s a marketer, say “no” once, then hang up on them, and don’t feel guilty! Treat your job like it’s a job. 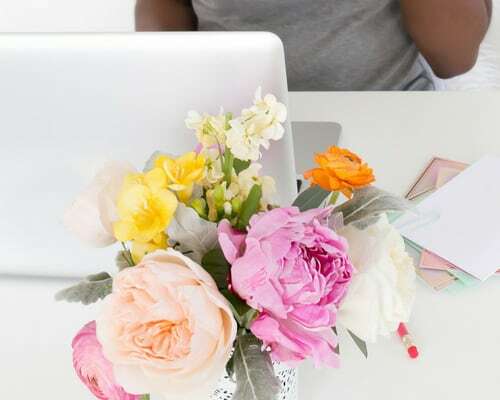 Even though the hours are flexible and buildable around your schedule, the more available you are, the greater your chances of receiving higher-paying work will be. Set up an efficient office space. Learn early on to organize your information so you can find it quickly. Track incoming/outgoing jobs and deadlines. And don’t let your dogs out every 15 minutes! Thanks to Linda Evenson for sharing her story! If you'd like to find out more about scoping — go here and sign-up for Linda's free intro course. Originally published July 2014. Content updated September 5, 2016. I have been following transcription jobs with a view to doing something in that line. Do you think I should try that first and then branch out into being a scopist. I live in Zimbabwe but with the internet being so available to everyone do you think I would stand a chance to find work in both transcribing and scoping? It kind of depends on what you want to do. Transcribing involves a ton of typing. You have to get down every word that is said. A scopist gets the file in English and makes corrections here and there, so it’s much faster and puts less stress on one’s body. I have done both, and I much prefer scoping. And, as you say, with the internet being pretty much everywhere, you can work from almost any corner of the world. I also have a training course, Internet Scoping School, at http://www.scopeschool.com. It is the most thorough course available; we have two to three times the training material of any other scopist training course. I am not interested in “quick and easy” when it comes to training scopists. I want them to be as thoroughly trained and prepared as they can be to go out and be successful. Graduates of ISS have the reputation of being some of the best out there. A past president of the FL court reporters association recently told one of my grads that the only scopists she would ever use are past reporters or ISS grads. That made me feel great! Thorough training shows. Feel free to visit the website at http://www.scopeschool.com. I’ve been scoping for over 37 years and I still love what I do — *and* I get to do it from home! It doesn’t get any better than that! I signed up for the intro course on ISS, looking forward to learning more about scoping. My main worry is my location; from my little search online most scopist are based in the US or Europe. I am based in Nigeria and wondered if this would make it more difficult to get good jobs? I remember seeing your name on the ISS website. Welcome! One of the wonderful things about scoping is that all work is received and returned these days via the internet. So even though you live in Nigeria, there’s no reason you can’t work for any reporter anywhere. I’ll be honest: the biggest issue with nonAmerican scopists is that English is often their second language, and they don’t have an expert grasp of “American” English. I trained some Filipino students years ago, and when I reviewed some of their work, they sometimes had a completely nonsensical word in a sentence. They sounded it out phonetically from the steno and thought it was correct, but the word was entirely incorrect in the context of the sentence. That’s why I stress that students must have an excellent grasp of our language. A real boost to modern-day scopists is that we nearly always get the audio along with the files, too, so we have the sound as a fallback to our notereading skills. It can be a huge benefit when trying to figure out unfamiliar medical words or technical terms. And with all of the information available on the internet, we can almost always find the correct spelling on everything from a street name in LA to a new drug. It is a great time to be a scopist! So if you have a good grasp of “American” English, there is no reason you can’t scope from anywhere in the world. And since ISS has its own private Facebook page, you can always ask your peers if you’re unsure of a word. I am also at my computer five days a week, and I answer questions too. I figure it’s part of what students pay for. If you have more questions about scoping, feel free to post them. I have now been scoping for over 38 years, and I still really enjoy what I do. I highly recommend it! I’ve heard of scoping years ago and then I forgot about it. I really wish I would have kept up with it I may be really good but now. I have zero experience is love to do a job that is not customer service from home. That’s what I’ve been doing for 10+ years. I find it fascinating line of work. Glad you found a career path that you enjoy, TeaJae! I feel like I’m normally pretty up to date on the work from home opportunities but I’ve never heard of this. Very interesting! Thanks for sharing. Glad you enjoyed the article, Katie. 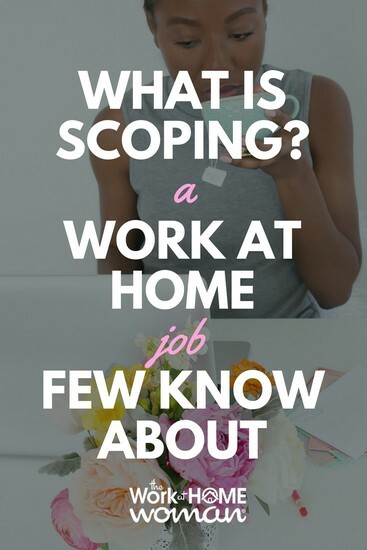 This was great information for me as I just finished a 12 week training course on Scoping. I am about to purchase my software and start to market myself to the world. Excited but nervous for this career change!! That’s great, Nicole! Good luck on your journey and keep us posted! How interesting! I had never even heard of scoping before. I know. There’s not a ton of information out there about it, so I was extremely happy to interview Linda for this piece. Thanks for stopping by, Sesselja. Accolade Scoping Education (ASE) is the only scoping training program that actually reviews your scoping work in the CAT program and has been training scopists for 10 years. I am very interested in learning how to scope. I am a medical transcriptionist so I am familiar with the pace and ableto work independently. Could you please send me information on training? I am interested in the training program to become a scopist. Judy: I am very interested in this. How could I get involved in your training program? I personally have been a scopist for well over 20 years. I can make $2,000 a week if I do immediate copy work and work with great writers. On average, however, I make $1,000 to $1,200 a week. Not bad considering I work from home. I also run a training program for those who wish to become scopists. Our new graduates generally start out making $15 per hour and get up to $25-$30 per hour within a few months. It all depends on the skills the scopist has, the knowledge of their software, the type of work they’re doing and the speed in which it needs to be done. Hi Judy, I’m interested in your program. Can you send me the information to get started? I’m interested in learning more about your scoping training. Feel free to contact me through accoladescoping@hushmail.com. Hi Judy, Can you send me information on your program? I’m very interested! HA HA HA HA HA HA – You’ve GOT to be kidding. What do you think scopists charge, $10.00 a page? Most scopists make between 75 cents to $1.25 a page. (We do not get paid by the hour.) Depending on the untranlatables, most times you get about 10 pages an hour. $2,000 a week? Where did you get that information? I want to work for them too! If you can only scope 10 pages an hour, you were very poorly trained or you’re just really really slow. 10 pages an hour is what someone fresh out of school is doing. 20 pages is easy for the typical scopist. If they have a great writer, 30 is completely doable. What a Sally Sourpuss. Actually, I am starting on an immediate copy today with a great writer from California. We’ve done several of these together. Because she *is* a great writer, I don’t have to listen to the full audio. I spot check it where something doesn’t read right or where she leaves me notes. I generally make $4-500/day on these jobs, depending on how many pages we get. So is it possible? Yes, it certainly is. I am living proof. I don’t tell scopists to plan on making $2,000 per week; it’s a rarity. But the figures I quote in the article above are spot on. Do expedited jobs happen all the time? Not for me. I get these jobs occasionally which is probably a good thing because they are very exhausting. Both the reporter and the scopist are going full out, as fast and hard as they can, all day. That’s why it pays so much more. So, in a nutshell, where I get my information is I *live* it. If you’re getting that low of a page rate or that low of an hourly output, you need to improve your speed and/or market yourself up to some better writers. I have been scoping for over 37 years, so I know whereof I speak. Thanks for giving me the chance to elaborate on that. 1. can i proceed with scoping? 2. how much time will i require to learn it? Learning to read machine shorthand is only one of a myriad of skills/knowledge you need to be a successful scopist. The notereading course at ISS is very comprehensive, containing three to four times the number of lessons of any other online school. Depending on how many hours you can spend per week studying, I’d figure on at least a month to learn notereading well. I consider it one of the bases of scoping. However, you need to build upon that base excellent punctuation and word usage skills; understanding of medical terminology; knowledge of how to put a transcript together, start to finish; expertise in running the specialized computer software efficiently; familiarity with numerous other topics such as terminology, ethics, basic tax information, online research, marketing, etc. preference styles. It’s basically like starting your business with a month’s worth of experience under your belt – and that gives you confidence to go out and find clients. Scoping is the editing of official documents, so you can’t afford to foul things up; there might be legal implications. The work is exacting and requires great skill and precision. So my answer is no. If you tried to start scoping without the prerequisite skills and knowledge, you would fail dismally and quickly. There’s just too much to know to be able to do it successfully without thorough training. I’m glad you asked. I wouldn’t want anyone else to believe they could just jump into scoping and be successful.